The use of properly fabricated custom made mouthguards has been shown to significantly reduce both the incidence and severity of orofacial injury in contact sports. 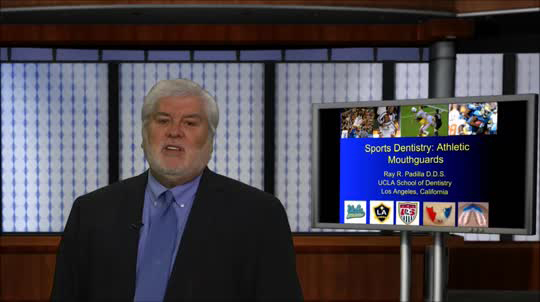 In the course, an evidence based review of athletic mouthguards (facts and fiction), including the utilization and fabrication of pressure thermoformed laminated mouthguards, the description of the different types of mouthguard designs, and the marketing and promotion of injury prevention programs for your private practice or community will be discussed. Participants will experience the difference between vacuum made and pressure made mouthguards and shown the technique for pressure lamination, which provides the best combination of comfort and protection. Understand of the modern dental literature in all forms of athletic mouthguards, from over the counter to pressure thermoformed. Review what is available in over the counter store bought mouthguards and be able to educate your patients on their shortcomings as compared to the preferred custom made pressure laminated mouthguards. Describe indications and techniques for appliances made with the thermoforming pressure technique.